At Kevin S Hughes, CPA we are committed to providing close personal attention to our clients. We take pride in giving them the assurance that the services they receive comes from years of advanced training, technical experience and financial acumen. By blending accounting with accountability and advising with advocacy, we help our clients understand their accounting and tax issues so they can turn our knowledge into value. Preparing your tax returns can be difficult. Contact our firm for the tax preparation services to ensure that your returns are accurate and that you are not paying more tax than necessary. Identify potential deductions to limit your tax liability. To manage your business profitably, you need the right financial data, advice and services. We can provide you with the accounting, bookkeeping, tax, payroll, business consultation and other business services you need. Handling the ins and outs of your day to day payroll processing is difficult, make this arduous task easier with our professional payroll services. Tips to help keep more of what you earn. Business tips for growth and profitability. Search "Frequently Asked Tax Questions" by category or keyword. Learn the new pass-thru entity rules. What the tax reform bill means to you. Whether you are a big business, a small one, or an individual, trust the accounting specialists from our firm to provide you with the assistance you need. Kevin Hughes is a Certified Public Accountant specializing in tax, retirement, estate and management. He strives to offer his clients personal attention while helping them obtain financial peace of mind. Kevin Hughes built his practice on trust, quality, respect, integrity and service. Through these cornerstones Kevin Hughes has been able to continually grow and expand his business to better meet all of his clients’ needs. 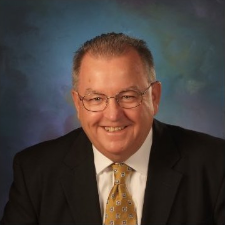 Kevin Hughes is a CPA with over 30 years of experience specializing in tax preparation for individuals and businesses and provides expertise for small and medium business accounting. He graduated from LaSalle University in 1974 with a bachelor’s degree in accounting. He is a Certified Public Accountant (CPA), equipping him with high ethical standards, measurable experience, and education. In addition to his CPA license, Kevin is a Personal Financial Specialist (PFS) and Retirement Income Certified Professional®. He is a member of the American Institute of CPAs (AICPA), and the Pennsylvania Institute of CPAs (PICPA). He is also a member of the AICPA Personal Financial Planning section and is a member of the Financial Services Institute. Our mission is to educate our clients, help them plan for the future and obtain financial peace of mind. We understand that closely-held companies need a resource to handle today's needs and tomorrow's. Businesses in today’s market need services that are designed to help owners - as well as the companies themselves - attain their financial goals. With our extensive professional background we offer businesses a wealth of professional services to choose from. We have the resources, reputation and size to accommodate all of your accounting, tax, payroll, employee benefit, strategic planning and consulting needs.